AEI = Associated Electrical Industries, a British company formed in 1928 through the merger of the British Thomson-Houston Company (BTH) and Metropolitan-Vickers electrical engineering companies. The company was renamed Siemens Ediswan following the takeover of Siemens Brothers by AEI in 1957. 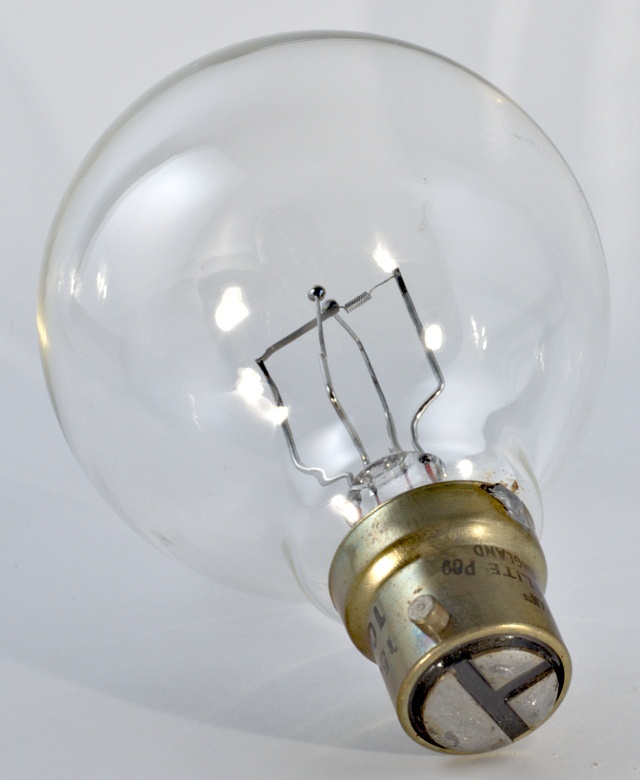 The bulb is filled with a low pressure nitrogen-helium mixture and the arc is struck between the two tungsten beads, which emit the light created by their incandescence. For ignition purposes, a 7V tungsten filament passes near to these beads, extending into a tube made from a mixture of tungsten and thorium oxide. 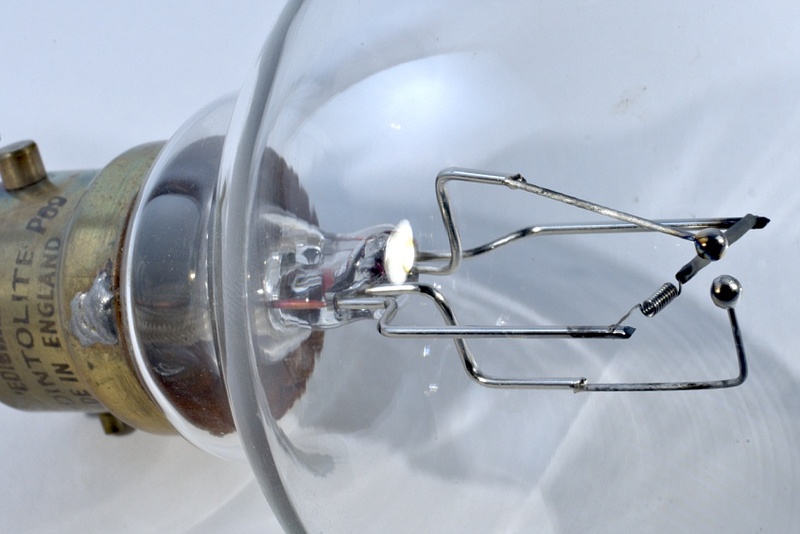 Firstly, incandescence of the filament generates free electrons around the ioniser tube. A voltage is then applied between filament and one bead and an arc is struck. 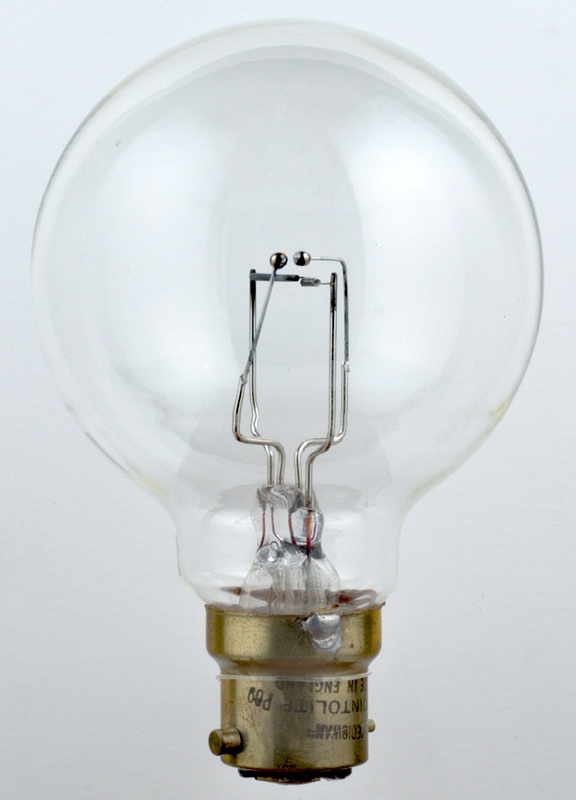 Once the latter is incandescent, the voltage is then applied across both beads and both become fully incandescent. A special 4-contact bayonet cap is used.